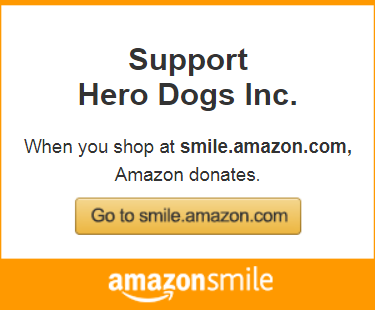 Click for info on how to order Hero Dogs logowear. First, login to your account using the Login Name and Password that you chose when you created the account (usually when you filled out the volunteer application). Once you have logged in, you can use the “What would you like to do?” drop-down menu to make changes to your contact information, volunteer preferences, opt in or out of mailings, register to volunteer at events, and more. Change Password: Change your account password. Update My Profile: Update your contact information and change your volunteer interests. If you are no longer interested in volunteering with Hero Dogs, please change “Are you interested in volunteering?” to ‘No’ and you will be removed from further volunteer communications. Manage My Addresses: Enter/update multiple contact addresses, for example a home and business address, or a summer and winter address. Re-Subscribe Email: Subscribe or unsubscribe from any email lists, e.g. newsletter list. By default, you will receive emails based on the volunteer interests you selected in your profile. Volunteer: Access your volunteer time sheet. If you don’t yet have a time sheet (because you have not been assigned to a particular project), this link will take you to the page of volunteer job opportunities. Current Events: See a listing of upcoming events and register to attend or volunteer. My Registered Event: See a listing of events for which you have already registered. My Donation: Make a donation, manage a recurring donation, or see your donation history. Login Home: Return to the main menu. Logout: Log out of your volunteer record.